Do you have an Angry Bird fan in your family? 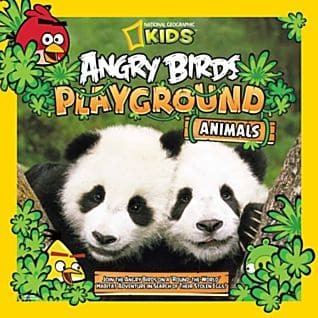 If so, they are going to love the newest title from National Geographic Kids™ -Angry Birds Playground: Animals. My seven year old son and his younger siblings “traveled” around the world in this exciting book that introduces children to animal habitats. With fun commentary from the Angry Birds characters in this documentary style children’s picture book, it is engaging, educational and fun for young children. We use this book in our homeschool for a number of different studies including geography class. After reading about animals from the Rain Forest, my children would find the countries of the animal habitat on their globe. For his next adventure using this book, my seven year old son was assigned a short presentation in front of the entire assembly of his homeschool co-op. He selected penguins as his theme and was able to write a short presentation using facts about the Emperor Penguin found in the “Polar” chapter of Angry Birds Playground: Animals. It was a big hit with all of the other students who also enjoyed thumbing through this book after the presentation. We are always wowed by the beautiful illustrations and photographs because it is like an up close and personal view of all the animals in their habitat. I teach from the Charlotte Mason perspective which is the belief that children should be exposed to “Living Books” and National Geographic Kids™ books are always exceptional resources. All three of my children LOVE this book and I often find them reading it during their playtime too! 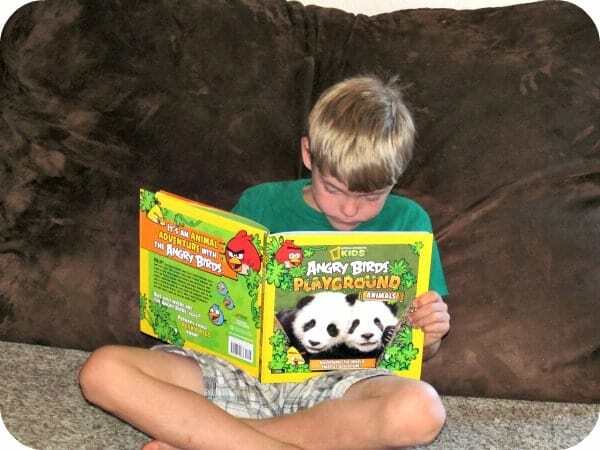 You are invited to visit the National Geographic Kids™ shop to purchase Angry Birds Playground: Animals (Hardcover Edition SRP $14.95) and browse all of the other excellent titles too! One lucky reader will receive a copy of National Geographic Kids™ Angry Birds Playground: Animals! My son would love the National Geographic Encyclopedia of Animals. 🙂 Thanks! I think the Our Fifty States book sounds fun. Thanks for the chance. National Geographic Encyclopedia of Animals…..my daughter would love love love this! My kids would love the Really Wild Animals DVD set! my kids would love Ultimate Wierd but True! My boys would love the “Ultimate Weird but True” book, they love the regular version. National Geographic Encyclopedia of Animals. My 10 year old would love the Ultimate Weird But True book. My son would love the Ultimate Weird but True book. My son would enjoy the ultimate weird but true. My oldest son would love the tiger book. My son would also love the national parks guide! My kids would love the really wild animals dvd set. 5,000 Awesome Facts About Everything looks great! National Geographic Readers: Ponies looks very interesting! My daughter loves Angry Birds and other books she has with animals in them so I think she’d really like this book.